Boost rankings, increase traffic and see a direct impact on conversions with an SEO agency that’s trusted by top eCommerce brands. How can we help you with SEO? Shortlisted for UK Search Agency of the Year for our work with Ann Summers, DW Fitness First and Love Energy Savings. SEO is a long-term strategy. It won’t deliver results instantly like other paid-for channels, and it will take consistent, ongoing work to get right. Hearing this can be a tough pill to swallow for business owners who want a quick fix, but any agency that tells you otherwise isn’t worth their salt and can pose a real risk to your business. On the plus side, organic search accounts for the majority of the marketplace, so if you get your SEO sorted you’re onto a winner. Our team of SEO experts all have senior, in-house experience delivering results-based organic campaigns for national brands, including the likes of AO.com, JD Sports and Footasylum. Bring Digital’s approach to SEO is to put strategy first, and always be open and transparent about how we get results for your business. Our team is constantly training to stay on top of the latest developments and updates from Google, keeping you and your website one step ahead of the competition. DW Fitness Clubs was founded in 2009 and operates 70 fitness clubs across the UK. 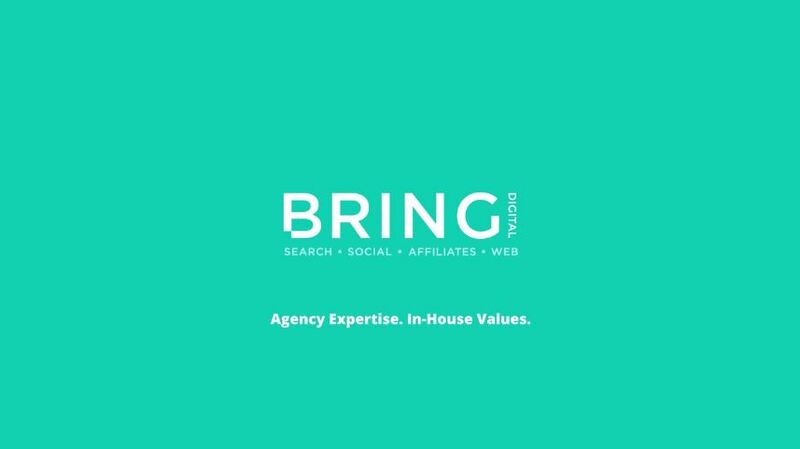 Bring Digital was appointed as the search agency for DW Fitness in 2014 with the remit of raising awareness of the brand, increasing the amount of traffic entering their website and, ultimately, to help increase the number of membership sign-ups. This has been achieved through paid and organic search campaigns. Bring Digital and Love Energy Savings began working together in late 2014. The team at Bring were challenged to grow leads coming through Love Energy Savings business energy page. Thanks to some great campaigns including the Business Energy Awards, our team continue to exceed all organic lead targets. Contrary to popular belief, technical SEO is not dead. While it's true that Google has evolved in a way that benefits brands that consistently produce useful and entertaining content, you must still make sure that your website is well optimised and user friendly. Carefully checking that keywords and Meta data are being used effectively on landing pages, and that your website provides a seamless user journey, is still of the utmost importance. Many brands trip up because they can't accurately measure how much value for money they are getting from their SEO efforts. At Bring Digital, we've honed our reporting system, which means you will receive a detailed monthly breakdown of what we've done, explaining exactly where your money has been spent and what kind of results this has had. Again, we avoid fluff at all costs, and we always explain how our strategy is aimed at helping you to achieve your commercial goals. A big development in the past year or so, Google's dedication towards improving local search has opened up new doors for smaller businesses that have long struggled to compete in the digital world. We take local search very seriously, ensuring that your website is set up to appear in search results for your local area. Consumers can spot promotional material a mile off, so brands need to offer something different in order to get their voice heard and drive traffic towards their websites. People want to read interesting, useful and/or entertaining content that adequately answers the questions they are asking. Our specialist content marketing team will get to know your target audience like the back of their hand and they also know how to create content that these people actually want to read and share. Obtaining links to your website still counts towards your overall search engine ranking, but old-fashioned link building is likely to do more harm than good. While those businesses that still pay for links are putting themselves in line for a Google penalty, our Digital PR team are busy running targeted campaigns that raise awareness of your brand. In doing so, not only are they exposing your brand to relevant people - i.e. potential customers - they're also producing engaging content that will naturally attract higher quality links in an organic way. We’ve already established that we know our onions when it comes to local search, but we’re equally adept at international SEO, too. Much will depend on your brand’s commercial goals, so if you’ve identified particularly strong markets for your products and services outside the UK, our SEO experts will ensure your website gains maximum visibility in these key areas.